As a movie fan I have stumbled upon the general infamy of the low budget cult movie ‘The Room’ and the absurd celebrity status of it’s director and star Tommy Wiseau. However the attention such an ill-conceived endeavour has garnered has me somewhat puzzling, but not overly surprised when these days we give a spot light to some of the biggest idiots on the planet and help them become celebrities. However when I heard the rave reviews this tongue-in-cheek dramatisation of the true story behind said film had been getting … I’ll admit I was curious. 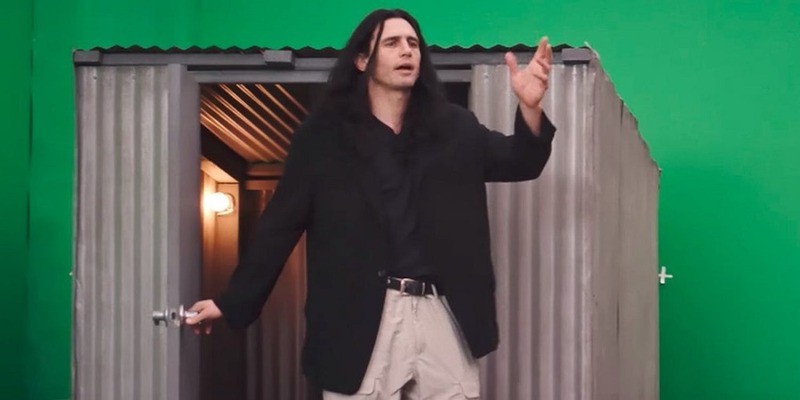 James Franco plays Tommy Wiseau and his younger brother Dave Franco plays Greg Sestero, two hapless wannabe actors chasing the Hollywood dream. Despite a rather oddball personality, Greg is drawn to Tommy following a rather unconventional acting class routine, and soon an uneasy friendship is formed. Tommy is a mystery, keeps his age and where he originates a secret but is able to put his hand to seemingly endless funds, especially once the two decide to make a movie following little to no luck landing an acting job. As a snapshot of indie film-making and the acting scene in Hollywood, I was fascinated even if we’re following two guys who probably need to consider totally different career paths. Wiseau is unhinged and a bit creepy but played well by Franco who is doing a spot on performance of a very strange person. Dave proves the likable lead for the audience to anchor themselves to and I ended up sympathising with Greg much more than Wiseau. Yet ultimately this is cringy and bizarre, just like the man it portrays and the movie that came out of the experience, with little to say other than being rubbish at something can still make you famous. There’s more fun here spotting the various celebrity cameos than what’s actually going on, and you do wonder what the point is other than seeing two guys spectacularly make utter shite. Is it fun watch? Definitely. Is it a story that needed to be told? Not really. This entry was posted in Comedy Reviews, Drama Reviews, Hollywood, Movies, Reviews and tagged Dave Franco, James Franco, Seth Rogen, The Disaster Artist, The Room, Tommy Wiseau by Craig M. Bookmark the permalink.